Posadas are held in neighborhoods across Mexico and are also becoming popular in the United States. The celebration begins with a procession in which the participants hold candles and sing Christmas carols. Sometimes there will be individuals who play the parts of Mary and Joseph who lead the way, or alternatively, images representing them are carried. The procession will make its way to a particular home (a different one each night), where a special song (La Cancion Para Pedir Posada) is sung. There are two parts to the traditional posada song. Those outside the house sing the part of Joseph asking for shelter and the family inside responds singing the part of the innkeeper saying that there is no room. The song switches back and forth a few times until finally the innkeeper agrees to let them in. The hosts open the door and everyone goes inside. Once inside the house there is a celebration which can vary from a very big fancy party to a small get-together among friends. Often the festivities begin with a short religious service which includes a Bible reading and prayer. On each of the nine nights a different quality will be meditated upon: humility, strength, detachment, charity, trust, justice, purity, joy and generosity. After the religious service, the hosts distribute food to their guests, often tamales and a hot drink such as ponche or atole. Then the guests break piñatas, and the children are given candy. The nine nights of posadas leading up to Christmas are said to represent the nine months that Jesus spent in Mary's womb, or alternatively, to represent nine days journey that it took Mary and Joseph to get from Nazareth (where they lived) to Bethlehem (where Jesus was born). Now a widely-celebrated tradition throughout Latin America, there is evidence that the posadas originated in colonial Mexico. The Augustinian friars of San Agustin de Acolman, near Mexico City are believed to have organized the first posadas. In 1586, Friar Diego de Soria, the Augustinian prior, obtained a papal bull from Pope Sixtus V to celebrate what were called misas de aguinaldo "Christmas bonus masses" between December 16 and 24. The tradition seems to be one of many examples of how the Catholic religion in Mexico was adapted to make it easier for the indigenous people to understand and blend with their earlier beliefs. The Aztecs had a tradition of honoring their god Huitzilopochtli at the same time of year (coinciding with the winter solstice), and they would have special meals in which the guests were given small figures of idols made from a paste that consisted of ground toasted corn and agave syrup. It seems that the friars took advantage of the coincidence and the two celebrations were combined. The Posada celebrations were originally held in the church, but the custom spread and later was celebrated in haciendas, and then in family homes, gradually taking the form of the celebration as it is now practiced by the time of the 19th century. Neighborhood committees often organize the posadas, and a different family will offer to host the celebration each night, with other people in the neighborhood bringing food, candy and piñatas so that the costs of the party don't fall only on the host family. 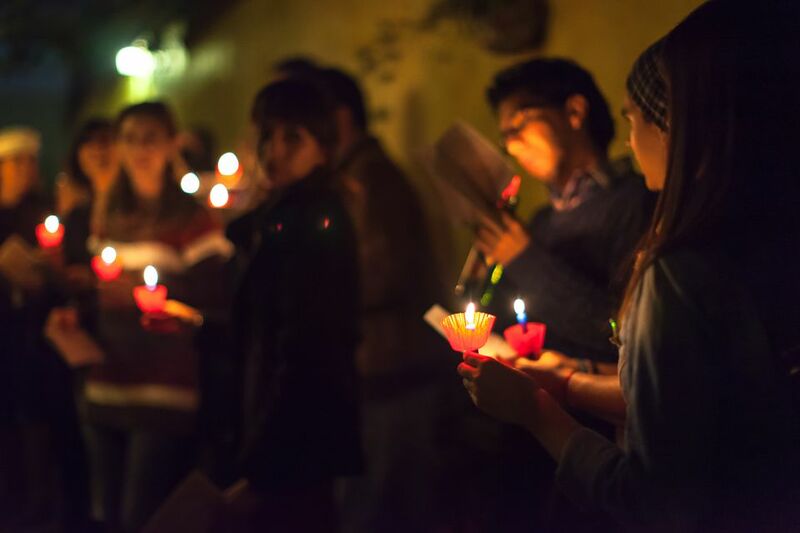 Besides neighborhood posadas, often schools and community organizations will organize a one-off posada on one of the nights between the 16th and the 24th. If a posada or other Christmas party is held earlier in December for scheduling concerns, it may be referred to as a "preposada." Read more about Mexican Christmas Traditions and learn about some of the traditional Mexican Christmas foods. .
Do You Qualify for a Tourist Tax Refund in Mexico?